Wintertime in the northern hemisphere is a perfect time to enjoy diffusing and blending essential oils that will help get us into the spirit of the season. Below is a list of essential oils well suited for incorporation into your favorite holiday diffuser blends. The oils included in this list were selected for their warming, spicy, resinous or woody aroma. This is a highly subjective list. You may want to skim through the list of 110 oils contained in AromaWeb's Essential Oil Profiles area for oils that you personally like for the season. By their nature, spicy essential oils like Cinnamon, Clove Bud and Ginger are strong and quite warming. A little goes a long way with these oils. They shouldn't be heavily diffused into a room as they can irritate the mucous membranes. It's best to blend stronger spice oils into more gentle oils like Sweet Orange Essential Oil (see the Blending Spice Oils section below). It's also important not to diffuse any essential oils continuously. 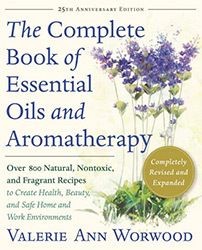 Essential oils are highly concentrated and can overburden our systems when diffused in excess. Essential oils commonly associated with Christmas include coniferous oils like Fir Needle and Scotch Pine, minty oils like Peppermint and Spearmint, resinous oils like Frankincense and Myrrh, spicy oils like Cinnamon and Nutmeg and woody oils like Cedarwood. Wintertime is often a source for an increase in colds and flus. Many essential oils are naturally anti-bacterial and anti-viral, so using essential oils to fragrance your holidays and cold witner days instead of synthetic room fragrances can potentially help to ward off the spread of colds and flus. The below list, however, was selected based solely on their appropriateness for winter celebrations. For more information and to view a list of essential oils with anti-bacterial, ant-viral and expectorant/decongestant properties, read Reducing the Risk of Contracting H1N1, Flus and Colds With Aromatherapy. Spice and Mint essential oils can be especially strong. When I create a seasonal essential oil diffuser blend that is intended to highlight a particular spice or mint oil, I either use the oil in very low quantity or include it in a blend at low proportion. Citrus oils, especially Sweet Orange Essential Oil blend well with the spice oils. Some individuals like me also enjoy blending mints with the citrus and woody oils. Orange essential oil is especially abundant and is one of the most affordable of essential oils. It has few contraindications and most people love the aroma. During the chilly fall months, I love combining a few drops of ginger, cinnamon, clove, and/or patchouli with Orange, Mandarin or Tangerine. Working with the other citrus oils like Bergamot, Lemon, Lime and Grapefruit and the oils in the above list can lead to some lovely combinations. My focus within this article is in selecting oils for diffusion. When creating blends and topical products that you apply to your skin, remember that many of the spice oils can cause skin irritation and should be used as incredibly low dilutions, if at all. For more information, read Essential Oils That May Cause Dermal Irritation and Skin Sensitization.